The royal city Jaipur was founded in 1727 by the great statesman and astronomer Maharaja Jai Singh II, when he decided to move down from his capital hillside fortress at Amber. 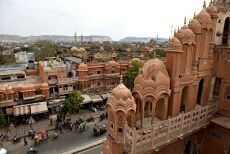 The city became famous as "Pink City" when on the occasion of the visit of the Prince of Wales in 1876 all the houses including the city wall were painted pink to give the city a romantic fairy tale flair and still today the colourful catital of Rajasthan enchants the visitor with its colourful oriental charm. 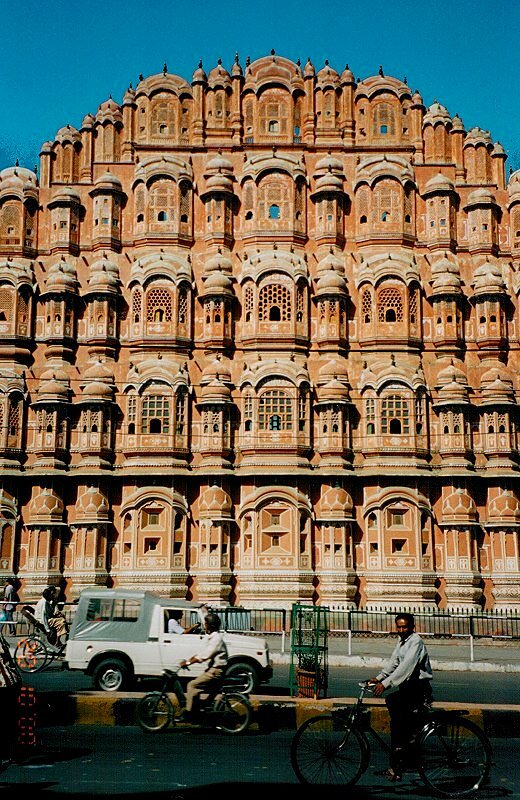 The Hawa Mahal (palace of the winds) is a component of the city palace and impresses by its cheerful architecture. The 953 windows allowed the ladies of the court to watch the activities on the street without being observed themselves. 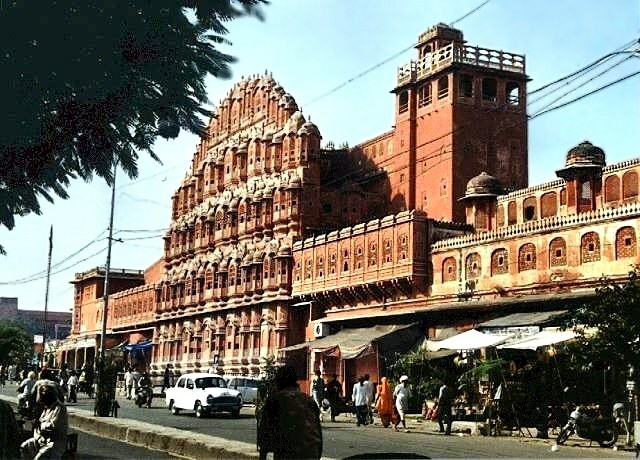 The magnificent City Palace, built in the 18th century, is the biggest edifice complex within the walled city. 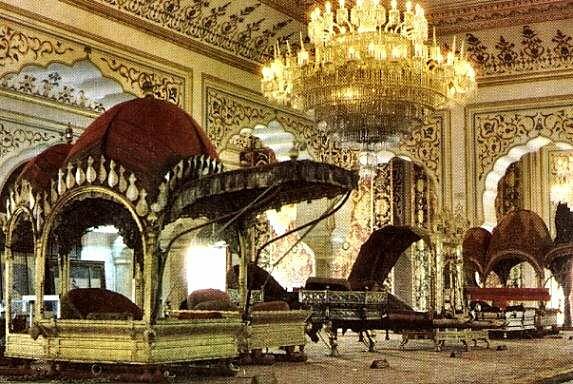 Very to recommend the marvellous Maharaja of Jaipur Museum. 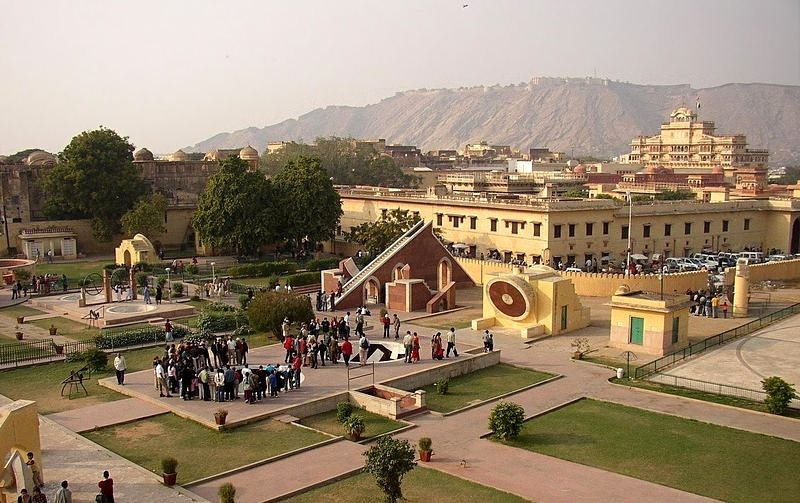 Adjacent to the City Palace is the Jantar Mantar, an observatory begun by Jai Singh in 1728. 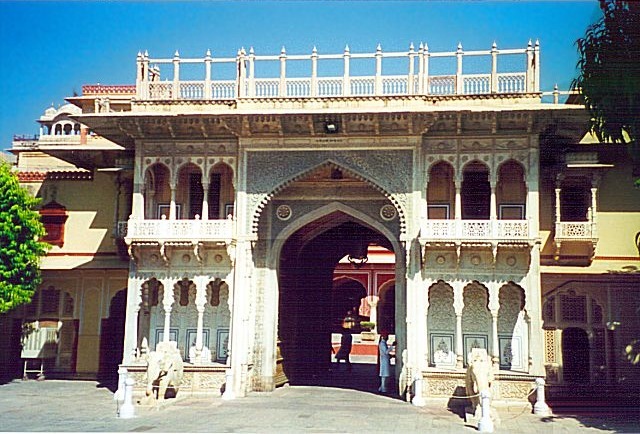 The Jaipur observatory is the largest, and the best preserved of the five observatories he built.